A modern commercial kitchen can not exist without a proper ventilation system, and these canopy hood systems are often considered highly inefficient in terms of the energy used to power them. The unfortunate truth is that many of the older ventilation hood systems are power vacuums, and those types of systems are far more common than the newer systems available today that do a much better job at energy efficiency. Only certain distributors offer these comprehensive systems, and many others continue to rely on outdated equipment. The question must then be asked, which manufacturers are the most reliable and economical? One of the best ways to ensure optimal energy efficiency is to build each system to the individual task at hand. This sort of customization is the hallmark of a top-tier manufacturer. The best HVAC companies will tailor each system they build to the budget and space allotted by the client. They will use their expertise in order to trim costs without sacrificing function. For instance, HVAC Ltd produces multiple hood systems that take advantage of design features to increase overall efficiency. This allows them to use smaller parts in the rest of the system, which decrease energy usage even further. The idea behind these efficient systems is to maximize the ratio between how much it costs to add an energy saving feature and the benefit achieved from that feature. Other manufacturers might not include a feature because it costs them too much to do so, but that doesn't mean it wouldn't save the customer more. Of course, these products are simply associated with a higher initial cost, but the benefits are well worth the investment. When considering the efficiency of a ventilation system, it is important to include a calculation of the through-life costs associated with the unit. Overall efficiency is not merely defined by electrical costs and treated air lost to the environment. A cheaper system is only cheaper because it will require more maintenance through its life. It may even have a far shorter lifespan than a top-quality system. It is sad to think that many of the features these premium systems have were not included to up the price of the system, as many budget-minded people might assume, but instead to decrease the overall cost of the system through its entire life, and yet those cheap systems are still widely accepted as adequate. This new technology is widely touted as the future of commercial kitchen ventilation, but it still does have its drawbacks in certain situations. The idea behind a demand-controlled system is to reduce energy consumption by only allowing the system to activate when it detects its own necessity, much like an AC unit for the home. The idea is entirely sound, and it stands to reason that many hide-yield kitchens could take advantage of this type of system with splendid results, but there are other factors to consider. A demand-controlled unit is only as good as the system it is controlling, in the same way that a thermostat is only as effective as the AC unit it controls. The efficiency of the system itself must be considered, as well as the orientation of the kitchen, the types of fans in the system, and its effect on the build-up of dangerous gases in the space, namely carbon monoxide and carbon dioxide. Demand-controlled systems must be engineered further for them to provide maximum efficiency to each system, but that is only a matter of time. Premium manufacturers are already including demand-control features in some of their systems. It's not hard to see why these systems will be able to reduce costs when one considers that ventilation hood systems and the cooking equipment they service tend to make up about 80 percent of a commercial kitchen's energy consumption. Optimizing these systems with a demand-control feature reduces the activity of the system when it doesn't need to be in use. When combined with proper kitchen organization to optimize airflow through the space, demand-controlled systems could revolutionize energy consumption in commercial kitchens. 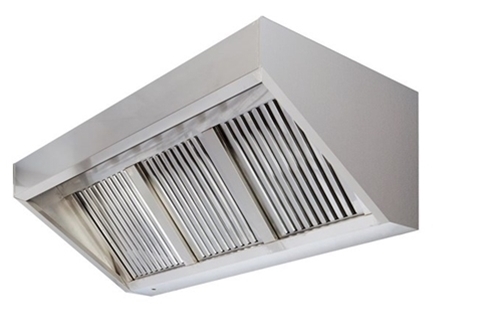 One of the most often overlooked factors when considering kitchen exhaust systems is the arrangement and type of cooking equipment that requires ventilation. Canopy systems might be forced to work harder than necessary to pump air through a space if the equipment isn't properly arranged. For instance, pieces of equipment that are sparsely separated in the center of the kitchen will require more ventilation than the same equipment arranged side by side against a wall. This may seem counter-intuituitive, but the tightly positioned equipment inhibits airflow far less than individual pieces left out in the open. The type of equipment itself must also be considered. Some hood systems are designed to ventilate specific types of equipment. Cooking equipment that uses solid fuel, like oil or gas, requires much more airflow than equipment that only uses electricity, like induction ovens or microwaves. 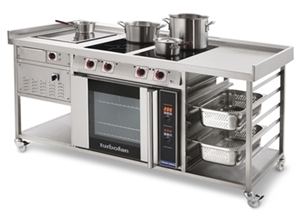 The equipment in a commercial kitchen will be dictated by the menu, and the hood system will be dictated by the equipment. While some pieces of cooking equipment may be essential, they may invariably double or even triple the ventilation requirements for the space, especially if they aren't arranged properly. Perhaps two of the most promising new technologies in the world of commercial kitchen HVAC are the MARVEL and Capture Jet systems from Halton. 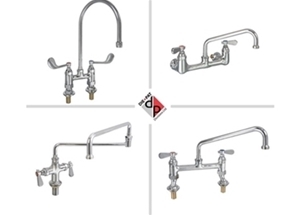 These systems are designed first and foremost to reduce energy consumption without reducing quality. The Capture Jet canopy features an air curtain that more efficiently contains captured air, and it also prevents contaminated air from returning to the kitchen before it has been exhausted. This system offers an insight into the future of HVAC, which might revolve around controlling air on a more functional basis. The MARVEL system, which stands for Model-based Automated Regulation of Ventilation and Exhaust Levels, is possibly the most energy efficient model of its kind. Every feature of the system is fully controllable, down to the individual fans. Each section of the MARVEL canopy is equipped with temperature and infrared sensors to provide a management system that is both active and adaptive. The system reacts to the cooking equipment under its charge, changing air flow rates to deal with cooking as it happens. The MARVEL system is the next logical step in kitchen HVAC, mainly due to extreme energy costs of running a commercial kitchen. Mansfield Pollard, on the other hand, is taking efficiency in another direction by exchanging standard lighting fixtures on canopy hoods with LED lights. These bulbs are exceptionally more efficient older fluorescent light bulbs, they give off less heat, and they last much longer. Mansfield Pollard also uses their proprietary Eco-Sense fan system to regulate air flow rates. These upgrades are perfect for cutting costs in the short term, and they cost relatively little to implement. The ultimate goal of commercial kitchen HVAC is to create a system that only recirculates air instead of exhausting it and resupplying the kitchen with new air from the environment. This is an ambitious goal for several reasons, including the development of more advanced filtering technology and heat control. Heat recovery systems are already being built into some newer commercial kitchen ventilation systems, and they will eventually become the norm if they can reach a high enough level of efficiency. Heat recovery works by taking the heat from the kitchen exhaust before it is either recirculated or sent out into the environment. Heat recovery features obviously raise the initial cost of a canopy exhaust system, but they provide a way to drastically reduce energy consumption. The heat recovery systems work in much the same way as a refrigerator or freezer. They simply use coils that interact with the exhaust, and those coils carry a liquid that circulates heat out of the exhaust and into a usable format. Kitchen ventilation systems are just as much an investment as the restaurant itself, and making smart investment decisions will save a restaurant loads over the years. Additional features like demand-control, heat recovery, and optimal design are going to up the initial cost of a system, but that cost will quickly be offset by the quality of the system. Premium systems require less maintenance and less energy to operate. The reason most restaurants have such a problem with ventilation systems is that cheaper options are often selected for their low initial cost, which only translates to higher energy costs and maintenances fees as the system ages. Inefficient commercial kitchen exhaust systems are nothing but a drain on the resources of what is most likely an already delicate operation. 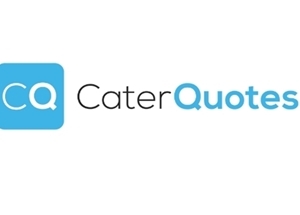 Most restaurants can't afford to spend more than they should, so choosing the best kitchen equipment is vital to reducing through-life costs of the restaurant. Even restaurants that started off with an improper exhaust system should consider upgrading since the overall cost of continuing to use an inefficient might be greater than the cost of the upgrade.